In-ear headphones are great for something you can stick in your pocket, and over-ear headphones are great for high-fidelity listening at home. What if, however, you want to get a great listening experience while on the road? That’s where on-ear headphones come in. There are quite a few on-ear headphones to choose from, and they’re not all very good. Thankfully, we’ve been testing them non-stop over the past year or so, and we’ve found the best ones so you don’t have to. Here are the best on-ear headphones money can buy. AKG has been building headphones for a long time, and it knows what it’s doing. The AKG N60NC headphones aren’t perfect by any means, but we think they offer the best intersection of great sound-quality, design, comfort, and value for money. So much so that they scored a massive 8.9/10 — one of only a handful of headphones to achieve such a high score on this website. We prefer the wired version of these headphones, as they seem to be a little more reliable and offer a slightly better sound-quality — but the wireless versions, interestingly titles the AKG N60NC Wireless, also offer excellent value for money with the added bonus of connecting to your device through Bluetooth. 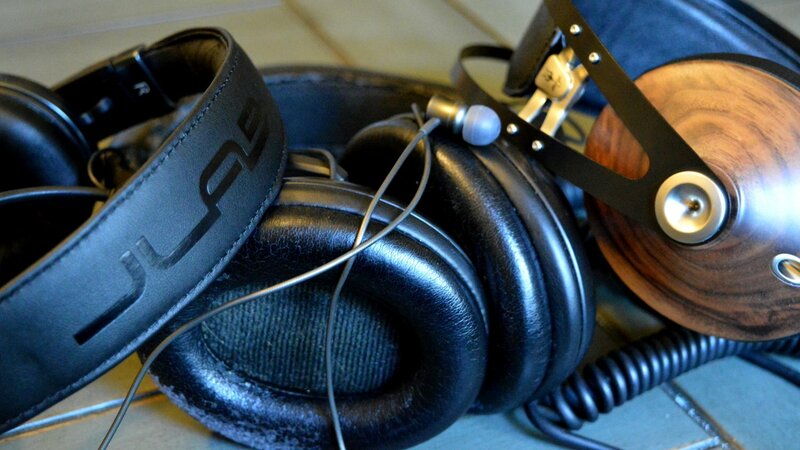 There are a few reasons we loved these headphones so much. For starters, they’re excellently designed and easy to use. The controls are generally well-placed, and there’s plenty of padding in the ear cups to maximize comfort. The best thing about them, however, is that they sound great. The AKG N60NC and AKG N60NC Wireless headphones seem to be tuned for a more authentic sound than other headphones, and while there’s plenty of bass there, mega-bass fans may wish there was more. The high-end is very well-tuned, offering plenty of crispness in the vocals and guitars, which is great news for those who like a well-rounded sound. On-ear headphones are built for portability, and as such getting a pair with a decent battery life can be important. If battery life is important to you, then the Audio Technica ATH-S200BT headphones are the way to go. Not only do they offer that classic Audio Technica sound quality and are relatively comfortable, but they also boast a whopping 40 hours of battery life — which is absolutely huge. There are other reasons to love the Audio Technica ATH-S200BT headphones too. For starters, the headphones have a great frequency response, boasting a strong and powerful bass response, a warm and well-tuned mid range, and a detailed and crisp high end. The headphone are also pretty comfortable, which is very helpful. The AKG N60NC headphones are excellent choices, but they’re not considered audiophile offerings. True audiophiles will probably want a slightly more expensive pair of cans — the Audeze Sine’s. These are headphones with a difference — rather than offering your standard dynamic drivers, the Audeze Sine headphones offer planar magnetic drivers. You can read about what that means here, but the gist of things is that they often offer more detail in the high-end. That’s certainly something that seems true of these cans. Sure, they boast plenty of bass and a well-tuned mic-range, but the high-end of these headphones is absolutely phenomenal, especially in this price range. These headphones could go head to head with far more expensive cans, and even win against many of them. Of course, nothing is perfect, and for these headphones a point of imperfection is comfort. They’re not overly uncomfortable, to be sure, but they seemed to press on the very edges of my ears during testing — rather than firmly on the ears like most on-ear headphones do. Still, that’s a small issue to have considering how excellent these headphones sound. The Audeze Sine headphones are great, but they’re not cheap. We’re not going to pretend that you can get audiophile-class headphones for under $100, but for under $300 you can still get something pretty decent. Like, for example, the Beyerdynamic T51i headphones. Beyerdynamic has a history of building excellent headphones, and the T51i’s are no different. The headphones are very minimalistic in their design, but they’re pretty comfortable. The best thing about them, however, has to be how great they sound. The high-end and mid-range sounds great — but the real advantage to these is the beautifully sculpted and super deep bass, which offers a nice kick to the bass drum, and nice, smooth bass tone. We’ve been keeping a close eye on Master & Dynamic, and for good reason: every single pair of headphones they’ve come out with so far has been an excellent option for potential buyers. The Master & Dynamic MW50 headphones are no exception to that rule — and in fact it’s probably one of Master & Dynamic’s best offerings. These headphones are designed to perfection. They boast a nice, solid build, beautiful premium materials like the lambskin leather on the ear pads, and a very stylish overall look. Of course, that’s not to say these are for those that only car about design. The MW50s are also extremely comfortable, and they sound great too. They offer a generally accurate sound profile with a few small tweaks made to offer a more consumer-friendly experience. That’s not a bad thing — the end result is an excellent sounding pair of headphones that should make anyone looking for a great sound happy. The headphones on this list have a lot to offer, but they all have one thing in common — they’re kind of expensive. If you’re looking for a decent pair of on-ear headphones that don’t break the bank, thankfully there are still a few options. Top of that list? The JBL E45BT. The JBLE E45BT headphones are generally well-designed, but for the price they also offer a pretty great sound-quality. We would have liked a slightly deeper bass response, but the mid-range was pretty well-tuned and the high-end has a lot to offer. Last but not least, they’re quite comfortable, and that’s always an important consideration to make when buying a new pair of headphones.